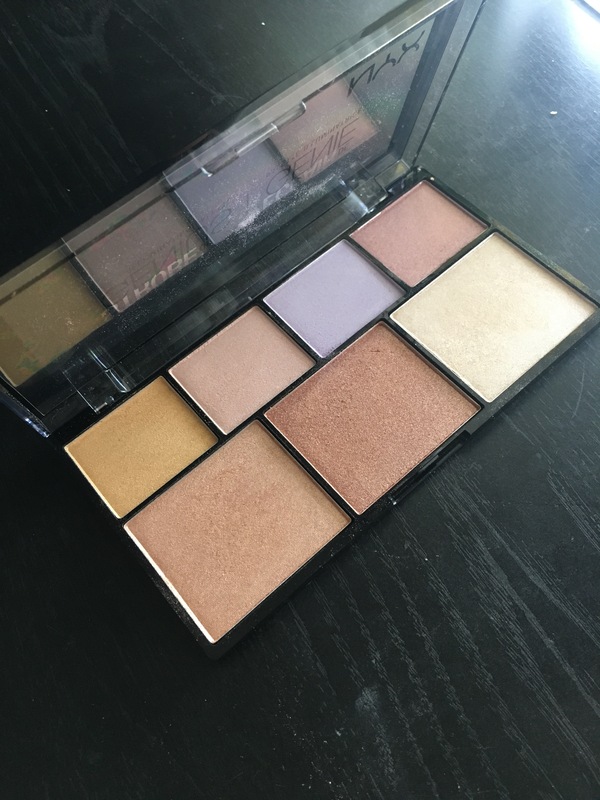 I have heard so many great things about this highlighting palette and couldn’t wait to add it to my makeup collection! Keep reading for my review! 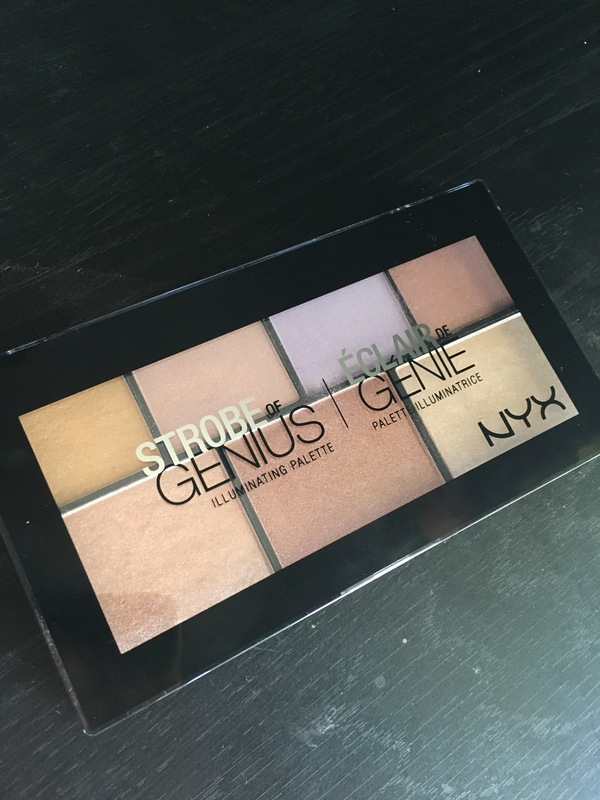 This palette consists of 7 beautiful highlighting shades and retails for $19 at Ulta. This might seem like a steep price for NYX, which is a drugstore brand, but in my opinion it is well worth it! The top row consists of 4 highlighting shades that have a slight iridescence to them. Iridescent shades have been quite popular lately with the Anastasia Beverly Hills Moonchild Glow Kit and the more recent Kat Von D Alchemist palette. If you are looking for a more inexpensive way to achieve these kinds of looks, this palette is definitely a great option! In addition to the iridescent shades, the bottom row consists of three more wearable shades. The Lee is a shade for medium skin, deeper skin, and pale skin. Basically, every highlight you could ever need is in this palette! Aside from the colors, the formula of the highlights is incredible! They are extremely buttery and pigmented and don’t have too much powder kick-back. These aren’t the most intense highlight shades at first, but you can definitely build up the intensity. This makes it perfect for everyone, no matter what kind of look you are going for. 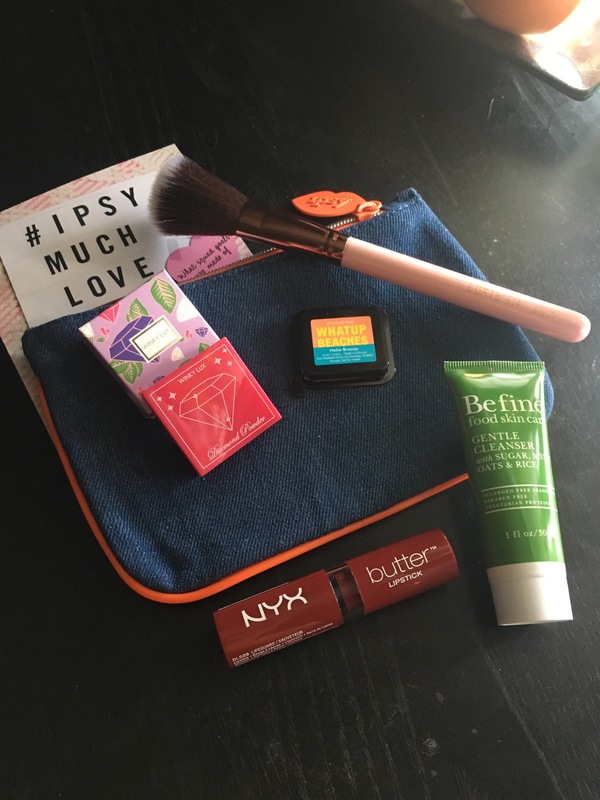 What’s In My February Ipsy Glam Bag?! Keep reading to see what I received in my Glam Bag this month as well as a quick review on each product! Befine Food Skin Care gentle cleanser with sugar, mint, oats, and rice: Obviously I do not have much of an opinion on this product quite yet since skincare products require more than a first impression (in my opinion). I do like that it has a bunch of awesome natural ingredients in it though and it smells amazing! The texture is a thin gel consistency and seems very moisturizing and gentle. NYX Butter Lipstick shade Lifeguard: This is a beautiful blue-toned red shade! The pigmentation is amazing and it goes on very opaque. I have never tried a NYX lip product that I haven’t liked and this one is no exception! Winky Lux Diamond Powder in medium: I love this powder so much! It has a slight luminosity to it, hence the name, and I love using it to set my under eye concealer. It doesn’t crease on me and it really brightens up the area and makes my skin look flawless! It is a little bit powdery, but it the consistency is very smooth and blends out beautifully. Elizabeth Mott Whatup Beaches Matte Bronzer: I really like the shade and texture of this bronzer- it is not too cool, but not too warm. The only thing I don’t like is that the sample is way too small for me to even get a bronzer brush in the pan. So instead, I use it as a transition shade when I do my eyeshadow and I love the way it looks! Luxie 514 Blush Brush: This is the product that I was most excited for because I have never tried any Luxie Beauty products before and everyone raves about their brushes. This brush is a little too small for me to use as a blush brush, but I love it to contour with! The brush hairs are incredibly soft and not too densely packed so it applied product and blends it out flawlessly. It is perfect if you want to achieve a soft contoured look, but you can also build up the color as well.